A New Book by Don Miguel Ruiz JR & Heather Ash Amara! In this one-of-a-kind book, best-selling authors don Miguel Ruiz Jr. and HeatherAsh Amara share their seven secrets to healthy, happy relationships! Plus Special Bonus Items Included With Your Order! New Release! The Art of Showing Up! For More Info. or to order click here! Want to see Miguel's travels, personal stories, exclusive content, and more? Don't worry, we don't like spam either so you wont ever get it from us. We promise. Only interesting content and fun information. Enjoy a free gift for joining today! The essential teachings in this book come from don Miguel’s recorded lectures, workshops, and interviews. If you are one of the many people who love The Four Agreements, this book offers in-depth teachings that are designed to bring more insight, inspiration, and joy into your daily life. For the first time, Toltec wisdom from the Ruiz family is bound together in a book of Daily Meditations. Readers are invited on a six-month journey of daily lessons with don Miguel Ruiz Jr. that are designed to inspire, nourish, and enlighten. 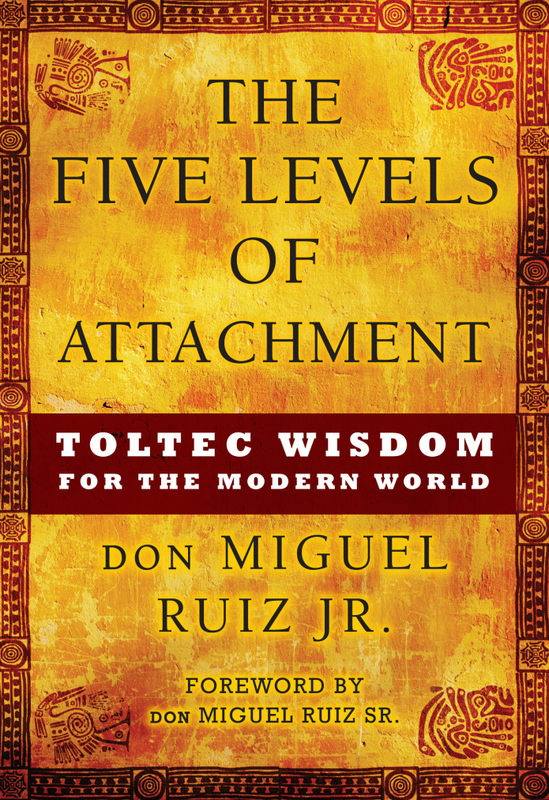 For the first time, Toltec wisdom from the Ruiz family is bound together in a book of Daily Meditations. You are invited on a six-month journey with don Miguel Ruiz Jr. that are designed to inspire, nourish, and enlighten adherents as they travel along the Toltec path. Are you Using Knowledge or is Knowledge Using You? Building on the principles found in his father’s bestselling book The Four Agreements, Miguel Ruiz Jr. explores the ways in which we attach ourselves inappropriately to beliefs and the world. Are you ready to experience a Ruiz event? Click Here to view Miguel's full calendar. Need to get a message to us or resolve an issue? Click here to contact us.